In this article, we will break down which schools in California offer paramedic training. We will display a mix of accredited and non-accredited schools. It’s important to acknowledge that accredited programs are accredited by the CAHEEP, or Commission on Accreditation of Allied Health Education Programs. American River College has a paramedic program that is twelve months in length. It will end with the student earning a certificate, although you can take additional classes and earn an Associate’s Degree, as well. And while tuition fees aren’t immediately known, we do know that students are expected to pay for things like uniforms, transportation to off-campus labs, your background check, equipment and more. These will cost an additional $1,200. In total, students will receive 1090 clock hours of training and education throughout this program. That includes 450 hours of didactic instruction, 160 hours of clinical instruction, and at least 480 hours for your field internship. At Butte, the size of each class is 25 students or less. A paramedic A.S. Degree is also offered by the college, as well. City College of San Francisco offers both a certificate and an Associate’s Degree to students. The program will take at least 18-months to complete. Here, the paramedic program will cost you $3,700.00. Additional fees will be required for things like ACLS and PALS certification. There will also be fees and expenses for things like fingerprints, immunizations, license applications and and local EMS agency accreditation fees. Crafton offers students two pathways to becoming a paramedic at their school. If you have other obligations and can only go to school part-time, it will take you twelve months to complete Crafton’s program. For students that are able to attend full-time, the program will cost you $50. The approximated cost of the progoram is $4200. At Foothill, it will take you 12 to 18 months to complete the paramedic program. The college is quite frank on their website, saying that students who feel they can juggle a full-time job and school might be sadly mistaken because it’s hard to do so. In fact, the college recommends you work no more than 2-3 days per week while you’re enrolled in the program. The school’s field internship is designed to be 480 hours. To apply to Imperial Valley, you must hold a EMT-I or EMT-II certification, or an RN license. The program itself is designed to take students 12 months to complete. Tuition will cost you over $2,410, and an additional $2,484 will be needed for things like books and supplies. The full-time paramedic program at Moreno Valley College meets Monday through Friday and lasts approximately 12 months. The paramedic program at this school is quite intensive. You will go through a didactic program that lasts 19 weeks. Then, you will work inside multiple hospital settings for an additional 12 weeks. After that, you are required to participate in an Externship for 10-12 weeks. Also, it should be noted that if you want a degree, you are able to earn one at Mt. San Antonio College. The cost of the Riverside program will be over $9,000. This doesn’t include the cost for uniforms, books, and other supplies however. The program here will cost students $9,100. This does not include textbooks and uniforms. With that said, NCTI offers students a 7-month interest-free payment plan. The paramedic course here in Roseville will cost $9,100. Your paramedic program in Siskiyous County will last approximately 13 months. At Palomar, for you to be considered for their paramedic program, you must be an active EMT-B who has had six months of paid work experience. The paramedic program at Saddleback is expected to cost students approximately $3,455.00. This is a price that not only includes tuition, but fees for books, uniforms, supplies, the National Registry Examinations and more. The program fees at Santa Rose Junior College vary significantly depending upon whether you are a California resident or not. If you are, you can expect to pay as little as $2,900. But if you’re not, your tuition can expand to $11,500. It will take you between 12 and 14 months to complete the Academy’s paramedic program. While it may not be required, Southwestern College says that EMT’s that have a whole year of full-time work experience are encouraged to apply to the college’s paramedic program. The UCLA paramedic program has a strong reputation, and they know it. They boast about the fact that 95% of their graduates find employment within six months after graduation. This program is unique, because they offer two formats to experience your education and training. UCLA offers a traditional, in-person format, while also offering a Hybrid course. This means that while you will do many practical things pertaining to your training and education in-person, a good part of your school work will be completed online for your convenience. The part-time Hybrid course will feature online modules and discussions, as well as live sessions that will take place one a week. Quizzes will be able to be completed at your leisure, although they do have an ultimate due date of midnight. You will be required to come to school in-person for one long weekend per month. A long weekend will consist of Thursday through Monday. The clinical rotations last four weeks, while the field internship can last anywhere from 8 to 12 weeks in length. As far as how much the courses cost, the traditional paramedic program will be $10,000. If you want to do the part-time Hybrid course to take advantage of the online convenience, it will cost students $16,000. Successful completion of this schools program will afford students the opportunity to sit for the NREMT examination so that they can become nationally accredited. The paramedic program at VVCC will take approximately one year to complete. The program will cost approximately $1,500 to $1,700. WestMed College offers students a certificate program that is designed to be completed in 18 months. The program concludes with a 480 hour field internship, where you will work with a Private Ambulance Service unit. The accrediting organization for EMT Paramedic training education in the United States is the CoAEMSP (Committee on Accreditation of EMS Education Programs), which operates under the CAAHEP (Commission on Accreditation of Allied Health Education Programs). Beginning on January 1, 2013, graduation from an accredited paramedic program will be required for those seeking certification through the National Registry. Do note, however, that it is not necessarily a requirement that you graduate from an accredited program to find a job as a EMT or paramedic. As far as paramedic salary is concerned, the pay rate for EMTs and paramedics can vary quite a bit. This is mostly due to region, as someone working in California is likely to may more money than a paramedic in the mid-west. Still, the median salary for EMTs and medics, according to the BLS, is $31,020. Strong EMT and paramedic traits are essential to the job, as well. A lot of discussion goes into how much you can lift, or how educated or trained you are, but at the end of the day, patients (be it in Sacramento, San Francisco, Burbank, Lancaster, San Diego, etc) want to feel like you understand their pain and concerns, and that you care about their well being. And if you work in EMS, you really and truly should care about people. Compassion – Do you care about your patients? Can you sympathize and even empathize with them? Are you a people person? Interpersonal Skills – Just like any other job, you have to be able to work well with others. Can you work well with your fellow medics on the job? Can you take direction well? Problem-Solving Abilities – Sometimes, problems will arise. Do you have a strong sense to decipher what a patient is saying if you don’t speak his or her language? If a decision must be made quickly, can you do it under pressure? Listening Skills – It’s very important to really and truly listen to your patient. That’s the number one way you can solve their problem or pain: by completely listening to, and then assessing, their problem. Speaking Skills – Patients can sometimes be very concerned, confused, or scared by EMS professionals. Are you able to convey, through your speaking skills, the steps the patient is about to undergo to help ease their pain? 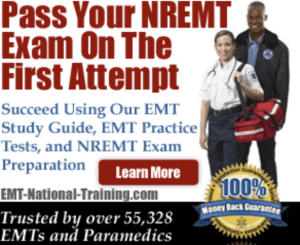 Physical Ability – The job of an EMT or paramedic is tough. And there will be times when you need to lift a patient to safety, or simply move him or her on a stretcher or simply carry heavy equipment up and down stairwells. What Do You Need to be a Paramedic?